Gift Guide for the Christian Girl for under $30! Now that Thanksgiving has passed, it’s basically Christmas, right?! Which means it’s the season of giving, and the season of gift guides. Between Black Friday, Cyber Monday, and Christmas shopping, it can be waaay too easy to get caught up in the materialistic side of it all, which is no fun, and definitely not the reason for the season. I tried to keep that in mind in making this gift guide, and tried to add meaningful items that any Christian girl would truly love! I absolutely love all these items (and own most of them), and they’re all less than $30! I hope this gift guide inspires you to give something extra special to the Jesus-lovin’ lady in your life this season. 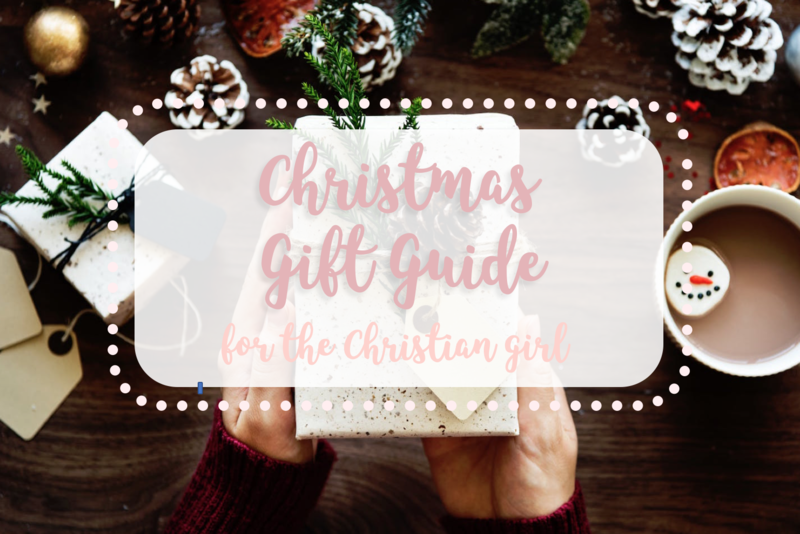 Let me know below if you enjoyed this Christian girl gift guide, & if you’d like to see more Christmas gift ideas from me! 🙂 Blessings, friend. 10 Cozy Christmas Pajamas under $25! I’m so happy you liked it, Christine!! Thanks for the share 🙂 blessings! These are some really neat ideas. christmas scented candles are prob my fave. So lovely! Pinning and tweeting!